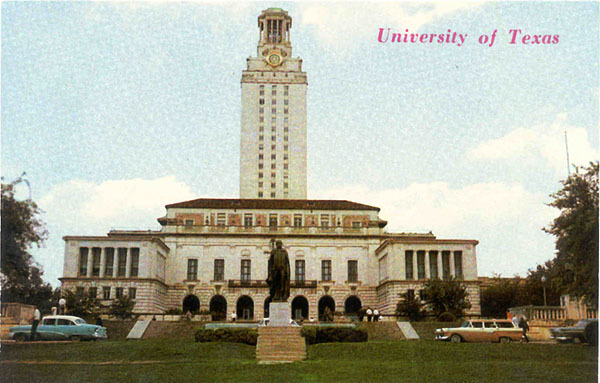 Text on Back: Austin, Texas University of Texas Administration Building, "The Tower," is 27 stories high. It is topped by a 40,000 pound carillon and houses the million volume Mirabeau B. Lamar Library. Publisher: Baxtone — BOX 175 — Amarillo, Texas — Made in U. S. A.